Polyploidy is a conserved and frequently occurring phenomenon whose impact on organismal health and disease is poorly understood. There is currently no meeting that brings together researchers studying polyploidy, despite its increasing prevalence in biology. 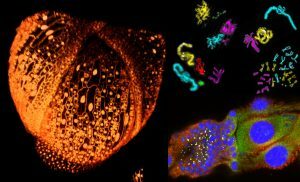 This symposium will be the first of its kind to focus on polyploidy, bringing together researchers working on a wide range of model systems-plants, fruit flies, mice, yeast and others. Symposium topics will include cell cycle and growth regulation, cell fusion, genome instability, as well as disease models and tissue repair. We hope that you will join us for this unique opportunity to integrate multiple research perspectives and disciplines, identify new collaborative opportunities, and directions for the emerging areas of polyploid research. The symposium will be held at MDI Biological Laboratory in Bar Harbor, Maine during peak foliage season. The magnificent ocean-front campus is located five minutes from Acadia National Park. 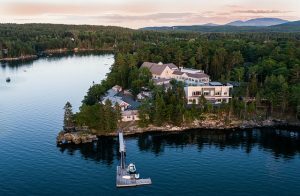 Mount Desert Island also offers stunning panoramic views, cycling and hiking paths, canoeing, kayaking, and swimming. How does polyploidy generate evolutionary novelty? The status of a CDK1 – Myb – Aurora B network determines the choice between mitotic cycles and polyploid endoreplication cycles. A group rate room block has been reserved at the Acadia Park Inn (Best Western). The hotel is 0.7 miles from campus. The double queen room rate of $185/night is 15% off standard rates and includes a continental breakfast buffet. Contact the hotel and ask for the Polyploidy Conference rate – 207-288-5823. The rate expires September 1, 2018. On-campus double occupancy dormitory-style housing may be reserved for an additional fee. Friday and Saturday nights only, $218.00 total. Reservations are made through the reservation form on a first-come first-serve basis until all rooms are filled. Symposium flyer -- please share!